An OPEC branded flag sits on a table ahead of the 171st Organization of Petroleum Exporting Countries (OPEC) meeting in Vienna, Austria, on Wednesday, Nov. 30, 2016. After months of speculation by oil market watchers, the Organization of the Petroleum Exporting Countries (OPEC) recently announced a six-month production cut of 1.2 million barrels per day (b/d) with the aim of driving up the price. It’s set to take effect on Jan. 1. Saudi Arabia will be responsible for a little less than half of the total, or just under 500,000 b/d, followed by 210,000 for Iraq and about 135,000 for Kuwait and the United Arab Emirates each. A nonmember, Russia, pledged to cut about 300,000 b/d as part of the deal. The move, which could be extended for another six months, was in response to the expected continuation of weak oil market conditions: too much supply and too little demand. The result was that for the first time since 1998, OPEC reported a collective current account deficit of almost US$100 billion in 2015, compared with a surplus of $238 billion in 2014. The crude oil price reacted as intended by climbing 15 percent almost immediately, settling at about $51. That’s up from a low of less than $30 earlier this year. The planned cuts and market reaction raise a lot of questions, however, such as why the oil price increased even though the reductions have yet to take effect and whether it will continue to rise. As an energy economist, I believe the best way to answer these and other important questions is by exploring a fundamental concept of my field: supply and demand. Oil markets are notoriously difficult to predict because there are so many factors that affect the price. Supply-side factors include crude quality, cost of resource development and production, access to resources, availability of infrastructure, environmental and economic regulations, and the behavior of suppliers such as OPEC. Probably more complex are demand-side factors: demand growth in various markets for various petroleum products, the state of the refining industry, pricing policies (taxes and subsidies) for different products in different countries, environmental regulations for end use, and energy policies regarding efficiency and alternatives. While financial trading is the most important factor influencing the oil price in the short-term, whether the price continues to rise or not in the coming weeks and months will depend on fundamental supply/demand dynamics. First, OPEC members have a mixed record complying with previous agreements to cut production levels. When OPEC first started the quota system in the early 1980s, Saudi Arabia had to reduce production by up to 6 million b/d to maintain the organization’s quota as other members flouted their commitments. From 2009 to 2013, OPEC production has been typically 1 million to 2 million b/d above the quota. Thus verification of compliance with the cuts will be important if markets will have any faith that they’ll actually materialize. Also, oil data, especially short-term production and storage data by state-owned entities, tend to be opaque. The “reference” production levels for some countries (e.g., Iran, Iraq, Venezuela) might be higher than how much they can sustainably produce. The reference level is the base amount from which cuts will be made. Although Iran’s October production was reported at about 3.7 million b/d, for example, the reference level was accepted as 3.975 million b/d, the amount it produced at its peak in 2005. Russian production – which won’t be subject to monitoring – may be down during the winter months due to scheduled maintenance or by focusing on drilling. In other words, cuts may appear to be compliant with the agreement, but the actual supply to global markets may not be much different than what it would be without it. Will the U.S. get back in the game? Second, whether U.S. producers of unconventional oil fields like shale in North Dakota are capable and willing to respond to higher prices by drilling more wells and increasing production is crucial. Coincidentally, U.S. production fell a little over 1 million b/d after the price of oil plunged early last year. So if they do boost production to take advantage of higher prices, the increase could make the cuts a wash. The question then becomes, would a higher price tempt them to begin drilling again? Since the price collapse, drilling in the U.S. has focused on the Permian Basin in west Texas and New Mexico. The number of rigs operating in the Permian has increased by about 100 since April to reach 235, or a little under half of the 477 rigs actively drilling for oil across the U.S. Another 119 rigs are drilling for gas. At the peak in October 2014, 1,609 rigs were operating in oil basins in the U.S. Sustained prices above $50 should encourage more drilling. However, “upstream” operators (explorers and producers), oilfield services companies and “midstream” transportation and storage businesses have been going through a period of adjustment, having idled hundreds of rigs and laid off tens of thousands of employees. It will not be easy to mobilize these resources quickly. Nor is it clear that it makes financial sense to do so. The availability of cheap loans during the post-financial crisis era of ultra-low interest rates was instrumental in encouraging too many companies to drill too many wells too quickly, which led to the collapse of natural gas prices in the U.S. in the early 2010s and that of oil prices in late 2014. Many companies are still burdened by those debts. If prices fall after billions of dollars of new investment, the financial recovery of many companies will be stunted. Combined with the uncertainty associated with the expected rise in interest rates and the high costs of remobilization rigs and crews, it is difficult to imagine U.S. oil companies overreacting to the OPEC cuts. Third, Libya and Nigeria, though members of OPEC, are not part of the announced agreement. Libyan production has been recovering from 250,000 b/d in August and reached almost 600,000 b/d in late November. 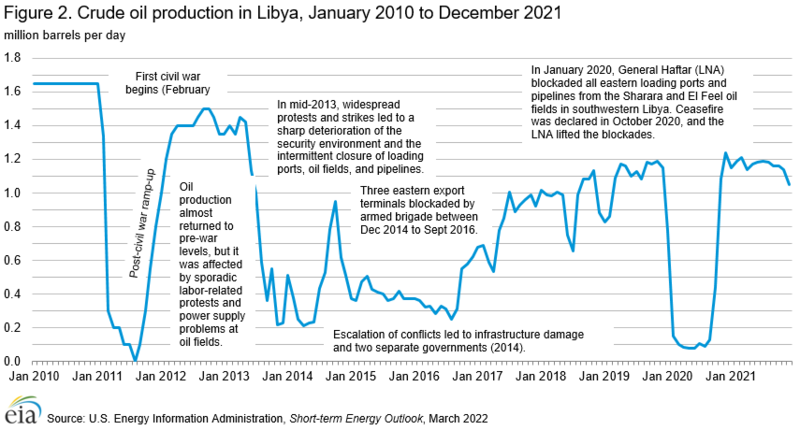 Libya’s long-term goal is to pump 1.6 million b/d, the level before the ousting of Muammar Gaddafi, and the country might be able to pass the halfway mark next year. Nigeria should be capable of producing close to 2 million b/d, but pipeline disruptions caused by conflict in the Niger Delta have reduced that to 1.5 million. The resolution of the conflict, albeit not an easy task given the longevity of it, could bring more supplies to the market and thus undercut prices. Finally, the world economy has been anemic in recent years despite low oil prices, which have historically been a driver of economic growth. Oil demand growth has been muted. One potential reason is the reduction in fuel subsidies in recent years in some key countries such as China. So consumers in many countries may be paying the same price for petroleum products now as they did in 2014 when the oil was $90 a barrel and will continue to do so unless governments reinstitute some subsidies. This might be difficult because macroeconomic policies in many countries seem to be failing to stimulate their economies. Also, years of supporting energy efficiency and alternative fuels or technologies along with regulating emissions might be dampening oil demand growth in some countries. One can only speculate that a sustained and significant increase in the price of oil would encourage these policies. Overall, OPEC’s production cuts are not building on strong demand growth. To the extent it succeeds in raising the price, it can end up undermining demand. It is difficult to do justice to the complexity of oil market dynamics in such a short article. 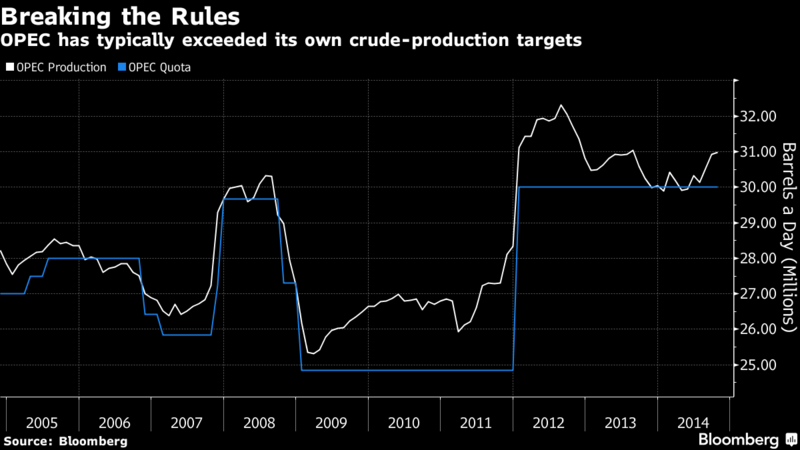 In short, though, the planned OPEC cuts have already provided some respite for oil producers, in terms of higher prices, thanks to the eagerness of financial traders. But once the excitement of the news passes, these and other demand-supply fundamentals will once again govern the oil price. Although these higher prices will enhance producer revenues and slow the buildup of oil inventories, they can also dampen demand growth and encourage too much production too soon.